There is now overwhelming evidence that the decision to advise consumers to reduce the amount of fat and saturated fat (SFA) in the diet has turned out to be one of the most disastrous mistakes in the history of public health policy. As people implemented the recommendations it was inevitable that there was a corresponding increase in the intake of sugar and carbohydrates. This was driven by the promotion of “low fat” products, many of which were formulated by replacing the fat with sugar. In addition, there has been a phenomenal growth in the sales of soft drinks, which usually have a very high content of sugar. The changes in food consumption patterns have been accompanied by increases in the incidence of obesity, although this has tailed off a bit recently in the UK. Even more seriously, diabetes is now a major problem. Here in the UK the incidence has doubled in the past 15 years and it is expected to continue increasing. Diabetes is especially worrying because it is associate with increased risk of heart disease, cancer and Alzheimer’s Disease. The NHS in England currently spends almost £1Billion on drugs to treat diabetics, while the cost of all treatment is about £10 Billion. It is reaching the point where it is becoming unsustainable. The solution is blindingly obvious. The cause has to be removed. Diabetes is caused by excessive levels of glucose in the blood. If the amount of sugar and starch, which is broken down to glucose, is restricted in the diet then it follows that there will be less available for absorption from the gut into the blood. The logic is irrefutable. This is fully supported by reliable scientific research and a huge number of personal case histories from individuals who have reduced their intake of sugar and refined carbohydrates. It should also be appreciated that most of this can be replaced by fats, especially the SFAs, which are valuable nutrients in their own right (1). 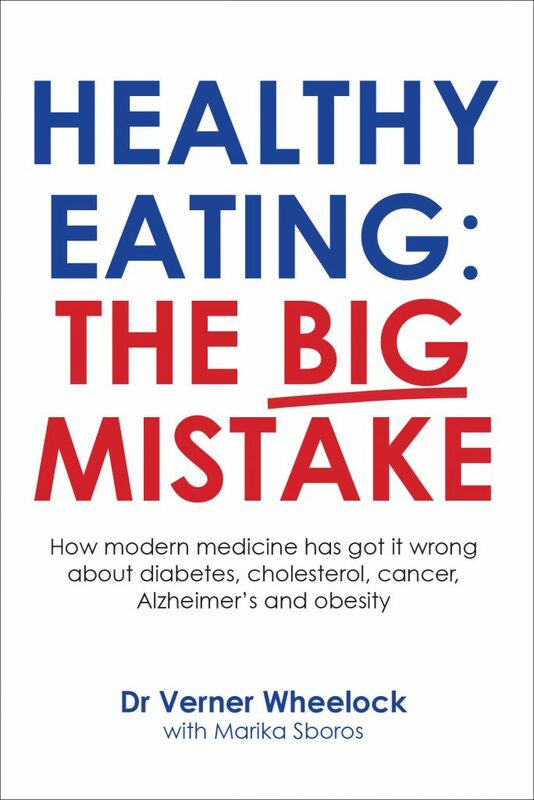 For more details of current thinking on nutrition I can recommend “the Diet Delusion” (2) by Gary Taubes and “Big Fat Surprise” by Nina Teicholz (3). The big hurdle is that the majority of those in the medical and public health professions are not prepared to accept this relatively “new” understanding and interpretation. The fundamental issue is that most of those in a position to initiate a U-turn have been active proponents of the existing policies which have failed so miserably. There are probably several reasons for this. They just cannot face up to the fact that they have been wrong in the past and therefore presented patients and governments with advice that was faulty. There are also very powerful business interests, including food, pharmaceuticals and weight loss which would be adversely affected if there was a big shift in policy. At present there is little doubt that the reactionary forces hold the upper hand simply because virtually all politicians are not prepared to challenge the relevant “experts”. This may seem bizarre but it does appear they lack the ability and the confidence to do so. However the hard reality is that we are largely dependent on the politicians to initiate action. This is why we need to watch developments in South Africa very carefully indeed. The story starts with Professor Tim Noakes, Professor of Sports Medicine at the University of Cape Town (UCT). For most of his life he had followed the conventional dietary guidelines. He was also very active as he went running most days and had competed in over 70 marathons and ultramarathons. About 4 years ago he started to question the rationale behind the dietary he was following and promulgating to others. As a consequence he decided that the advice was fundamentally flawed and so he went through the painful process of changing his mind. His current position is explained in an interview (4). He explains the rationale in a lecture given in 2012 (5). Within the last few weeks Tim Noakes was invited to address members of the South African Parliament , where he obviously made a significant impact(6). As a result there is already an initiative to implement some of the proposals suggested. This really is a very big step forward and it is to be hoped that sooner rather than later, there will be moves to re-formulate the public health policies in order to alter the national patterns of food consumption. However it will not be plain sailing because there has been a backlash from other academics in UCT, who wrote a letter which condemning the stance taken by Noakes. It was signed by Prof Wim de Villiers Dean of Faculty of Health Sciences, Prof Bongani Mayosi, Head of Department of Medicine, and emeritus professor, cardiologist Dr Lionel Opie, and Dr Marjanne Senekal, associate professor and Head of Division of Human Nutrition. “The apparent endorsement by Members of Parliament of South Africa of the latest fashionable diet, ‘Banting’ (‘SA’s Ticking Time-bomb’, Cape Times, 19 August 2014) and the message it sends out to the public about healthy eating, is cause for deep concern – not only regarding Parliament’s support for it as an evidenced-based ‘diet revolution’, but sadly, the long-term impact this may have on the health of the very people they have been elected to serve. “Any diet for weight loss and maintenance should be safe and promote health in the long-term. Currently the long term safety and health benefits of low carbohydrate, high fat diets – such as Atkins, Paleo and South Beach, and in which Banting falls – are unproven, and in particular whether it is safe in pregnancy and childhood. “Importantly, while the consumption of a low carbohydrate, high fat diet may lead to initial weight loss and associated health benefits – as indeed would a balanced weight loss diet – there is good reason for concern that this diet may rather result in nutritional deficiencies, increased risk for heart disease, diabetes mellitus, kidney problems, constipation, certain cancers and excessive iron stores in some individuals in the long term. Research leaves no doubt that healthy balanced eating is very important in reducing disease risk (see web page below dedicated to this debate). “It is therefore a serious concern that Professor Timothy Noakes, a colleague respected for his research in sports science, is aggressively promoting this diet as a ‘revolution’, making outrageous unproven claims about disease prevention, and maligning the integrity and credibility of peers who criticise his diet for being evidence-deficient and not conforming to the tenets of good and responsible science. This goes against the University of Cape Town’s commitment to academic freedom as the prerequisite to fostering responsible and respectful intellectual debate and free enquiry. ” This is not the forum to debate details of diets, but to draw attention to the need for us to be pragmatic. Research in this field has proven time and again that the quest for lean and healthy bodies cannot be a quick-fix , ‘one- size-fits-all’ solution. The major challenge lies in establishing sustainable and healthy dietary and physical activity patterns to promote long term weight maintenance and health after weight loss, and includes addressing psychosocial, environmental and physiological factors. “Our bodies need a range of nutrients sourced from a variety of food groups to survive. Diets like the Banting are, however, typically ‘one dimensional’ in focus. They promote increased intake of protein and fat containing foods at the expense of healthy carbohydrate containing foods, and focus on adherence to a limited food plan. Ignored are the other important factors impacting on health – like physical activity (the important of which we cannot emphasise enough), environmental factors, and individual health profiles. “For whatever reasons, the Faculty of Health Sciences of the University of Cape Town manages consistently to misrepresent my public message which is simply the following: a high carbohydrate diet is detrimental to the health of persons with insulin resistance whereas carbohydrate restriction in this group can be profoundly beneficial as it can reverse obesity and in some cases Type 2 diabetes mellitus, the two conditions that will ultimately bankrupt South African medical services unless we take appropriate preventive actions. This message first presented publicly in my book Challenging Beliefs in 2011, has never changed. “It is also the message I presented to members of staff at Parliament a week ago. “If that message is without scientific support, then the Faculty of Health Sciences has every right to cross the civil divide as it has now chosen; an action which, I suspect, is unprecedented in the history of the Faculty of Health Sciences and perhaps the history of the University of Cape Town. But if there is evidence for my position, then the Faculty is guilty of failing fully to inform its past and present science, medical and dietetics graduates in a manner appropriate for a Faculty that considers itself to be a world-leader. “outrageous unproven claims about disease prevention”. If the authors of the report had bothered to examine the evidence, there is plenty. Wild unsubstantiated statements are the hallmarks of desperation. There is a very little doubt that obesity, diabetes and related diseases have been caused by precisely the type of diet which the UCT academics support. The writers of the letter appear to be so committed to theories which have been totally discredited that are not prepared to consider any alternative. The fact is that they are advocating strategies which have been largely responsible for the current disaster in public health. They would do well to note the conclusion of Albert Einstein who defined insanity as doing the same thing over and over again and expecting a different result! It is to be hoped that the South African politicians stick to their guns and adopt the Noakes approach to construct a completely new public health policy. This would undoubtedly produce enormous benefits for the country with huge improvements in the health of the population, which must pay off in the economy. There would also be savings in health expenditure. Finally South Africa would establish itself as the world leader in health policy innovation, which ought to trigger similar initiatives in many other countries. Previous113. Can We Trust the Drug Companies? 90. Why is Nutrition in such a Mess?